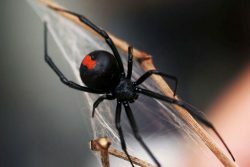 Australia is home to the world’s deadliest spiders, including the funnel-web and redback spider. Most spiders are not dangerous and are in fact beneficial to the environment. Spiders can be divided into two groups – those that spin webs and those that are ground dwelling. Ground dwelling spiders do not build spider webs but dwell in rubbish, under leaves, in holes, vents, the garden etc., either emerging to hunt down their prey or ambushing the unwary from their chosen location. Most webbing spiders are not dangerous, though you may not like the look of their webs around the house. In the home, the corners of floor, windows or ceiling, lamps, curtains and gutters make suitable sites for these spiders. Most spiders are active at night. 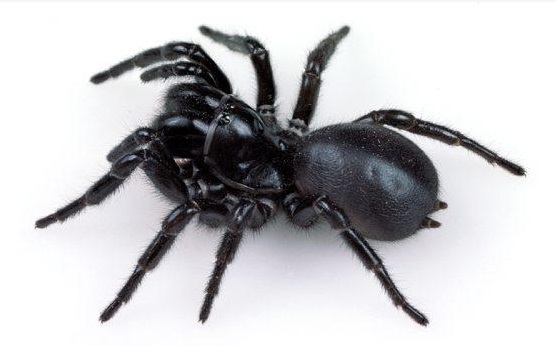 Sydney funnel-web spider: Found in a large geographical arc from Nowra to Newcastle, the Sydney funnel-web is large, black, aggressive and armed with serious fangs. Both the male and female are toxic, though it is the male that has won outright the title of Australia’s most dangerous spider. These spiders favour moist, cool conditions, and live in burrows with web lines radiating out from the entrance. Their holes may be found under low-growing plants, logs, fallen leaves and rock gardens; moist areas such as laundries, outdoor taps and swimming pools are also attractive places. The male leaves its burrow in search of a mate in summer and autumn, particularly after heavy rain – this is when most bites occur. The bite is extremely painful and demands immediate pressure immobilisation and medical attention. Since the development of antivenom in 1981 there have been no fatalities. 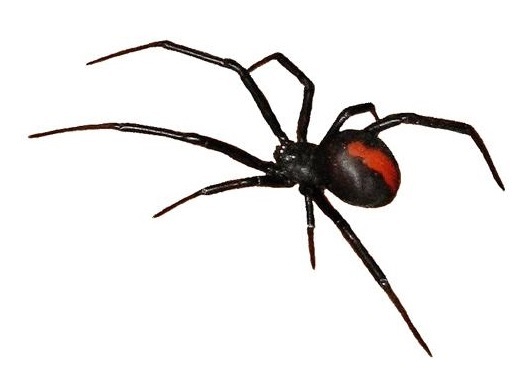 Redback: This spider is found all over Australia and it is the female to avoid; the much smaller male does not bite. The female is small, black and characterised by a red stripe on top of its abdomen. 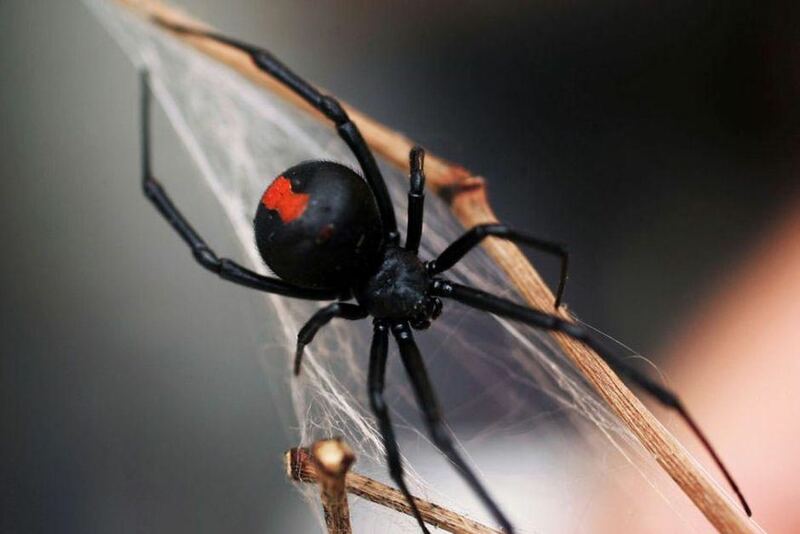 Redbacks build their webs in dry, protected spots such as garden sheds, in logs, rubbish and toilets. The bite is immediately painful but slow acting and, since the introduction of antivenom, has not caused any fatalities. Apply ice packs and seek first aid. Redbacks rarely leave their web – avoidance of the web is the best way to avoid bites. White-tailed spider: A ground-dwelling hunter, this reddish-grey spider eats mostly other spiders. Occurring mostly in south-east Australia, it is often found inside homes, in bathrooms, cracks and crevices and cupboards. Outdoors, its favoured hiding spots include under bark, leaf litter and logs. Check bedding, clothes and shoes. Some unverified reports suggest the bite can lead to ulcers and tissue necrosis – seek medical attention. Mouse spider: These spiders build burrows in creeks and rivers. Females are large, with dark brown to black bodies and are often confused for a funnel-web or trapdoor spider. Its bite is toxic and painful – apply a pressure bandage and seek medical attention. Black and grey house spider: Also known as the window spider, this web-spinning spider can be found hiding in dark corners of windows and wall crevices, as well as on logs, tree trunks and under bark. They are dark brown to black in colour with body markings. Capable of giving a painful bite, though they are not aggressive. Huntsman: The exception to the rule. These large, flat brown spiders look fearsome with their hairy, long legs but they actually prey on the much more dangerous white-tailed spider, as well as cockroaches and other insects. Huntsman can be found under bark during daylight hours, as well as in cars. Bites are not serious though may cause localised pain and swelling. Apply a cold pack. Spiders are a reality of Australian life, but a great majority of them are not dangerous. In most cases, sensible precautionary measures will keep you safe from spiders. For example, do not leave clothes or shoes outside at night, wear appropriate clothing such as gloves when working in the garden and don’t walk outside at night barefoot. Teach children to never touch spiders – and follow suit yourself. Repair cracks and crevices and cover vents and weepholes (the small holes cut into brickwork that allow moisture to escape) with mesh and attach flyscreens to windows. Keep external lights switched off at night, as these would otherwise attract insects, which in turn will attract spiders. If you do find the odd lone spider in the house, and you are very sure that it is not poisonous (such as a huntsman), return it to the great outdoors by using a glass jar and stiff piece of paper to catch and transport it. A professional pest controller can do a thorough inspection of your property. They can check all likely habitats such as corners of windows, along cornices and skirting, behind curtains, in ceiling voids, gutter lines, outdoor furniture and garden areas, and advise on potential entry points. If dangerous spiders are found, eradication can prove difficult – talk to your pest controller about what options you have. The use of chemicals may not be the best option: spraying spider webs and using chemical barrier-style treatments against crawling spiders may not be particularly effective. Funnel-webs may be better handled by pouring boiling water down their burrows rather than using insecticides. Redbacks can be killed with direct application of an insecticide. On the whole, however, avoidance is the best policy. Make an online enquiry for Spider Removal service or call us now on 1800 284 442.